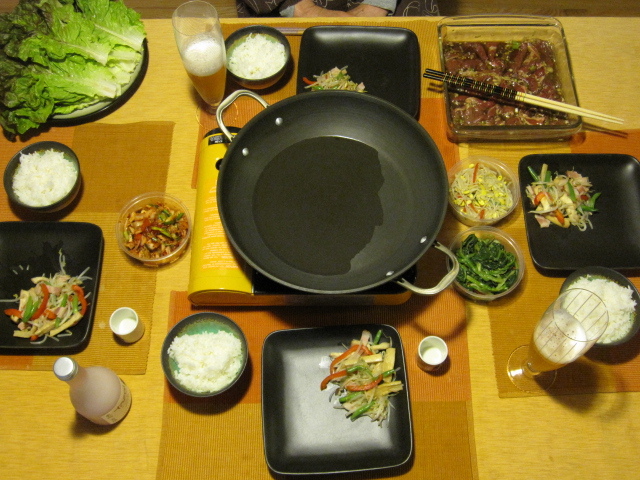 This dinner I made the other night technically isn’t Sukiyaki. 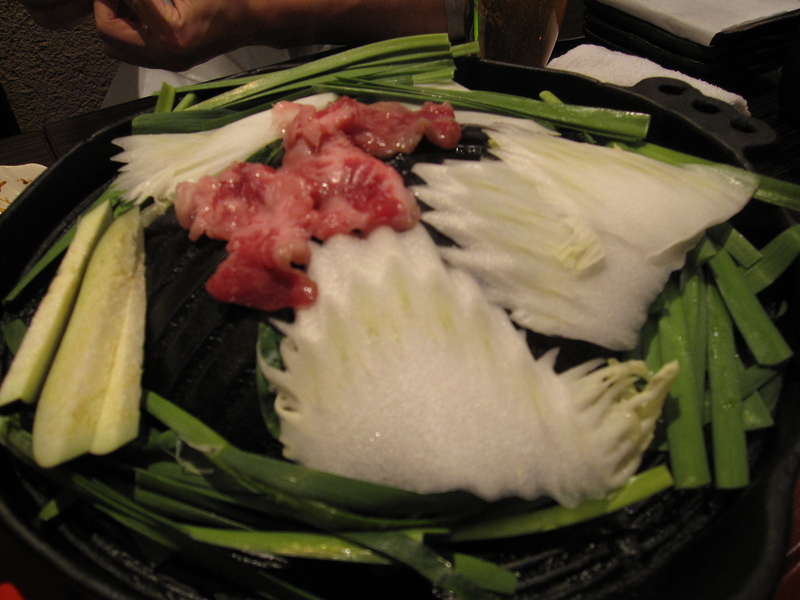 Nor is it really Bulgogi. 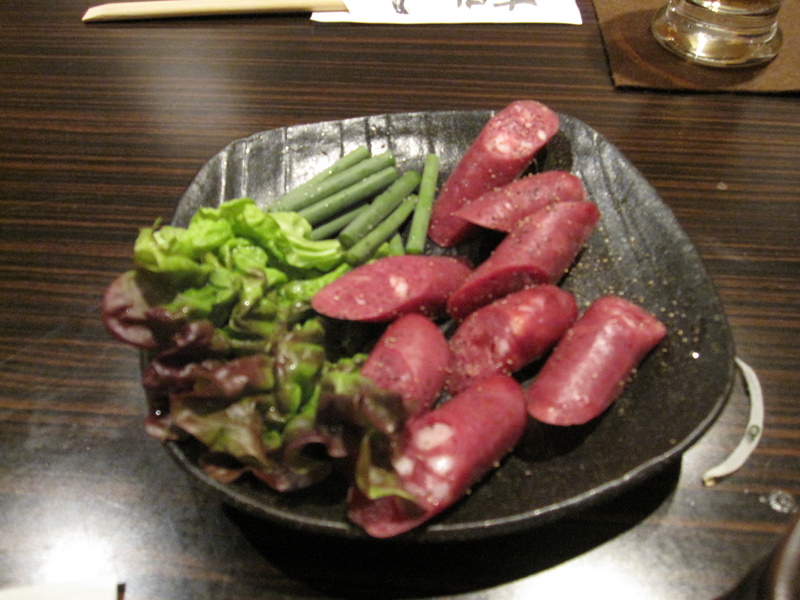 However, it’s close enough to both of the dishes that I really couldn’t think of any other way to describe it. So to all of you purists out there…deal with it! 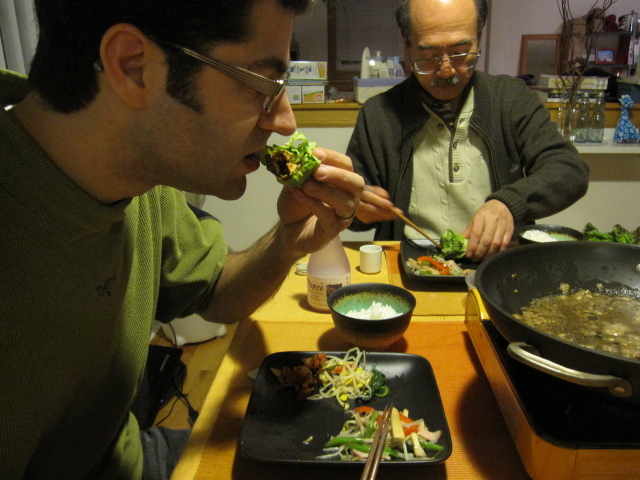 I made this dinner after taking Yuki’s parents to the Joong Boo Korean Market. 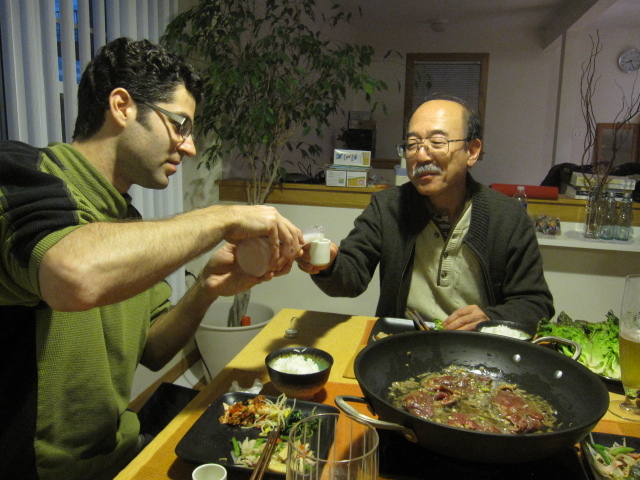 None of us were sure what we were going to do, but Uichiro had asked that I cook something. 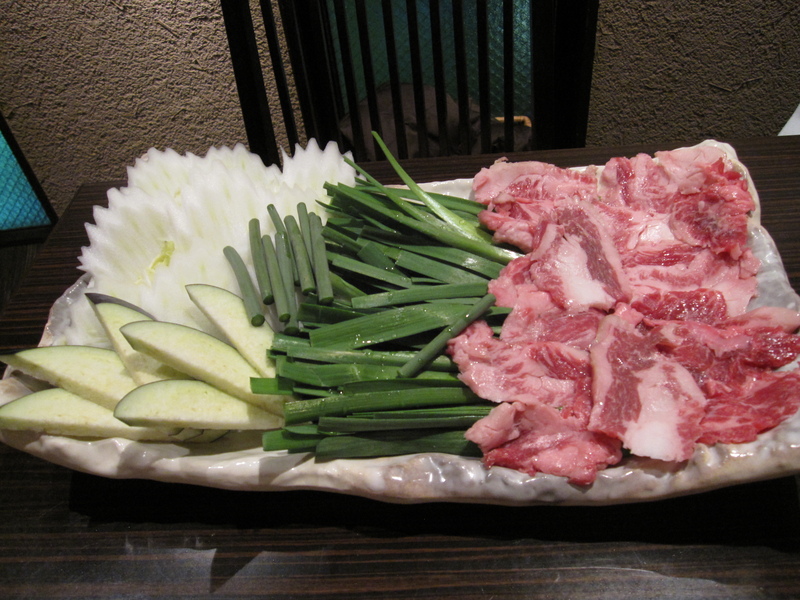 When we got to the meat counter and he saw the thin sliced ribeye he got a sparkle in his eye, looked at me, and said, “can you make Bulgogi?” I can and I did! 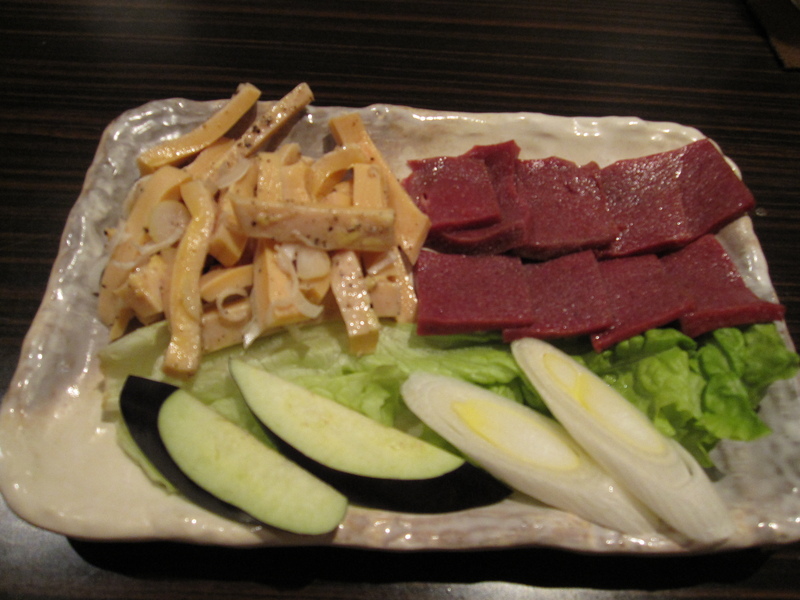 A true Bulgogi has grated asian pear in the marinade. 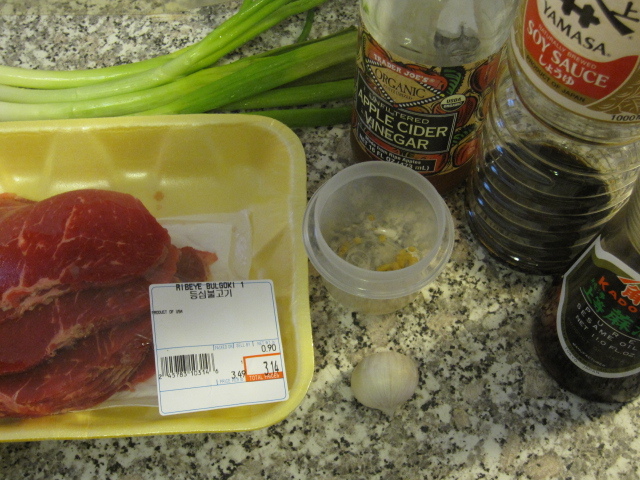 I didn’t have any asian pears so I improvised a little, but did keep relatively close to a classic Bulgogi. 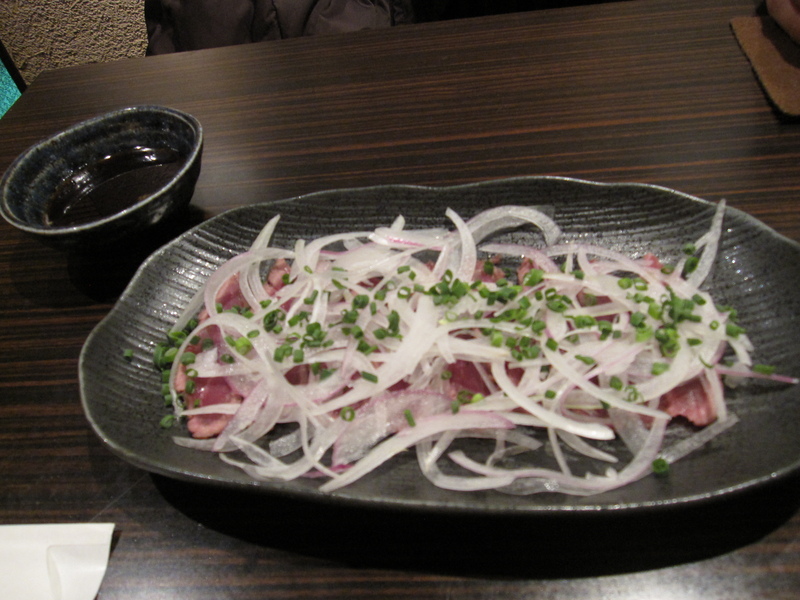 We had picked up almost a pound of the thin-sliced ribeye. 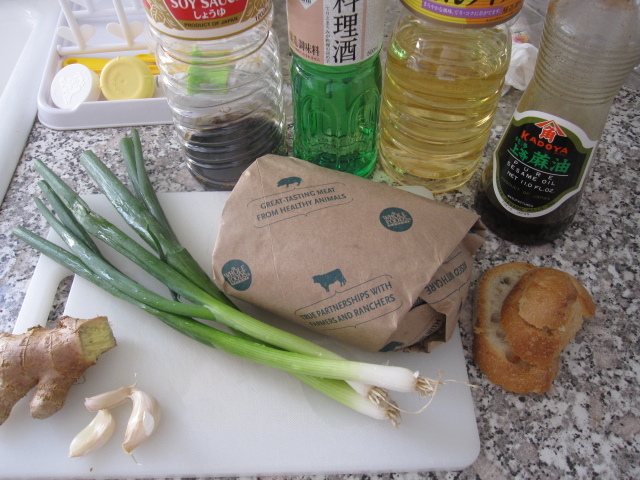 I also used 4 green onions thinly sliced, about 1 tablespoon of minced ginger, 1 large garlic clove minced, 4 tablespoons of apple cider vinegar, 4 tablespoons of soy sauce, 2 tablespoons of sesame oil, and some black pepper. 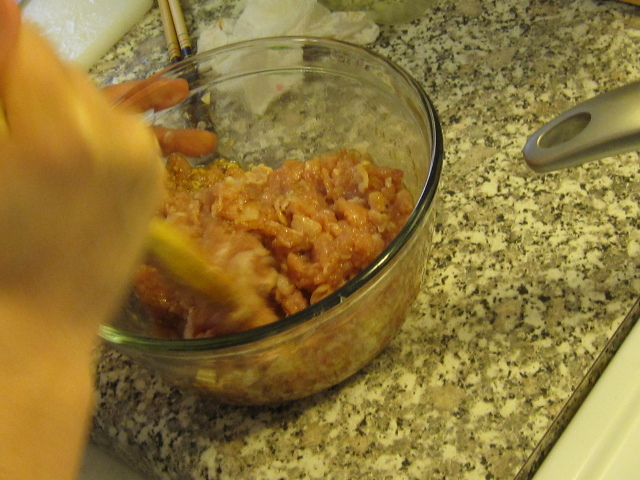 Before adding the meat to the marinade I gave it a real good mix and then tasted it. 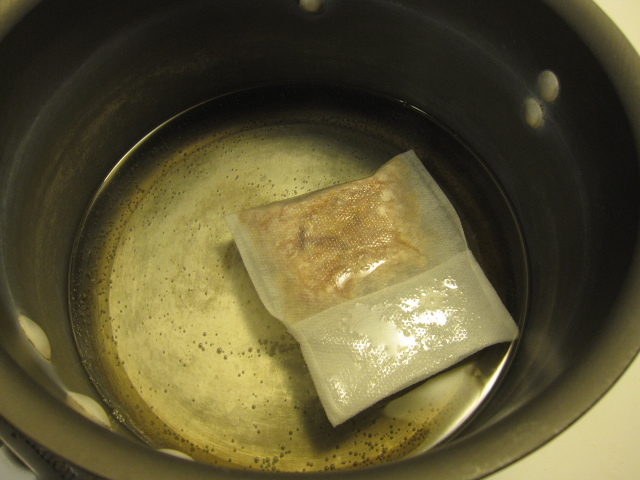 I decided to add about 1 tablespoon of sake and a good pinch of sugar. 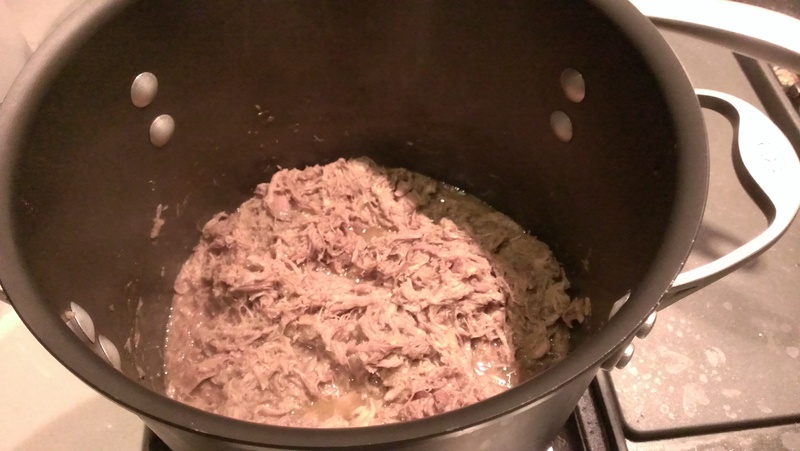 Then I added the meat and let it sit covered in the fridge for about an hour or so. 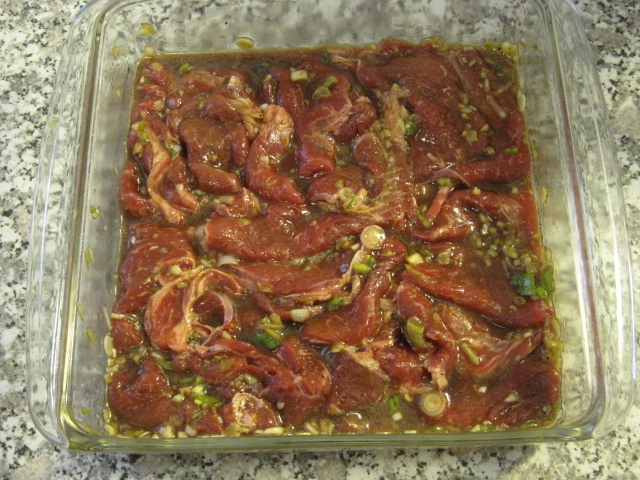 For a marinade like this you should allow the meat to sit for at least 30 minutes, but not longer than 2 hours. 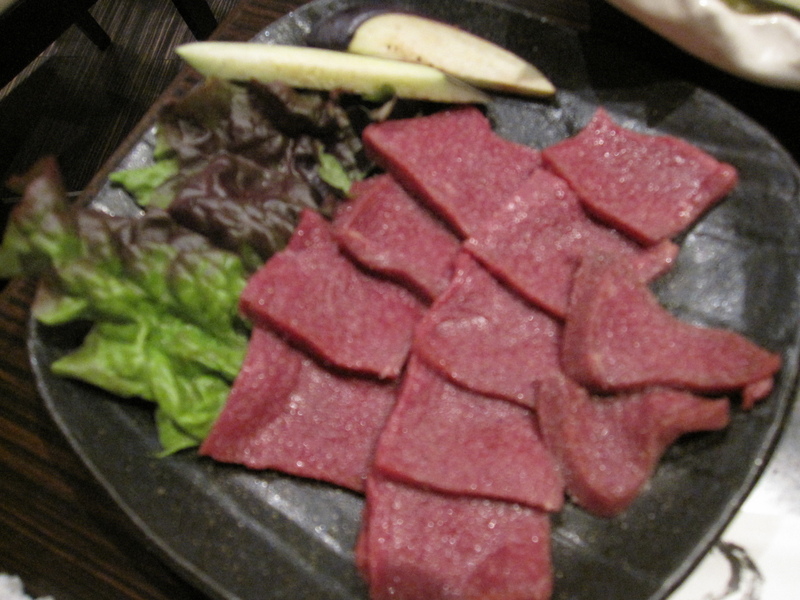 If you let it sit too long the meat will absorb too much soy and become extremely salty. While at the market we also picked up a few ready-made pickles. 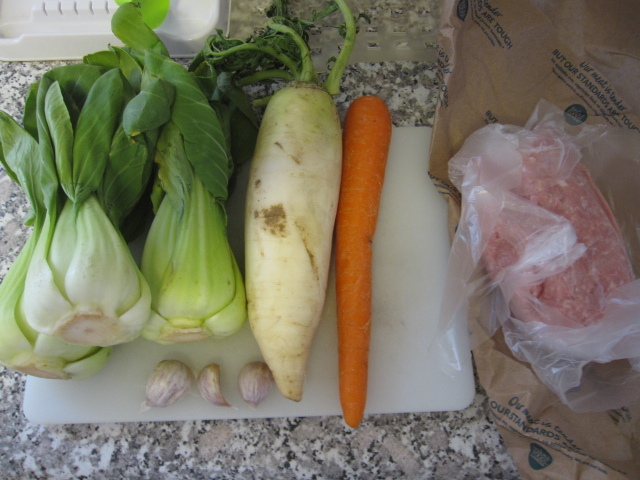 We got some classic cabbage kimchi, wilted water spinach, and mung bean sprouts. 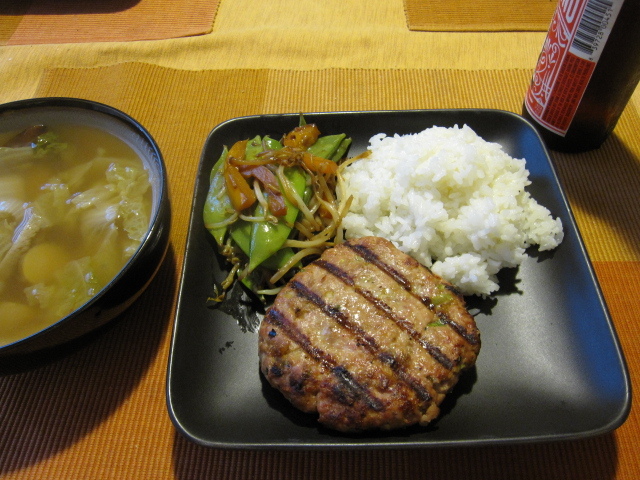 If you look at the top pick of this post you’ll also see a little stir-fry on each plate. 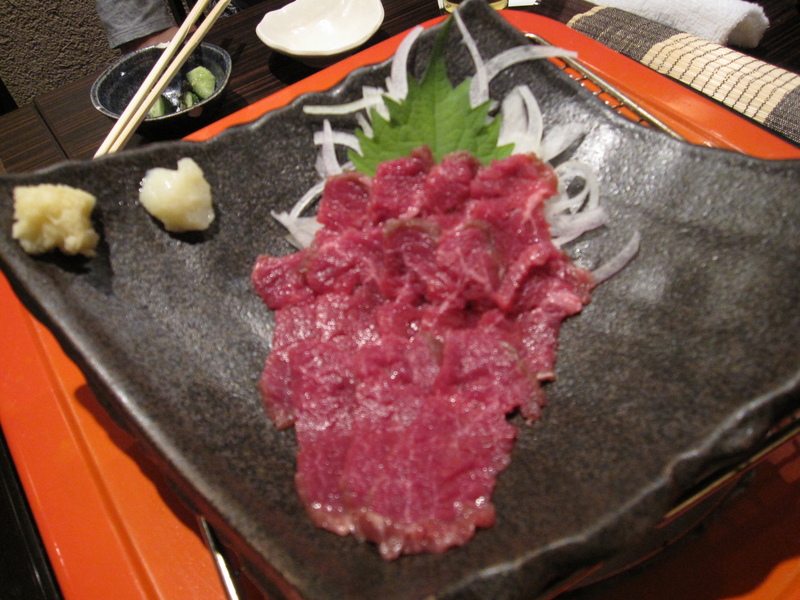 To add another dish to the meal Uichiro quickly whipped up this little number. 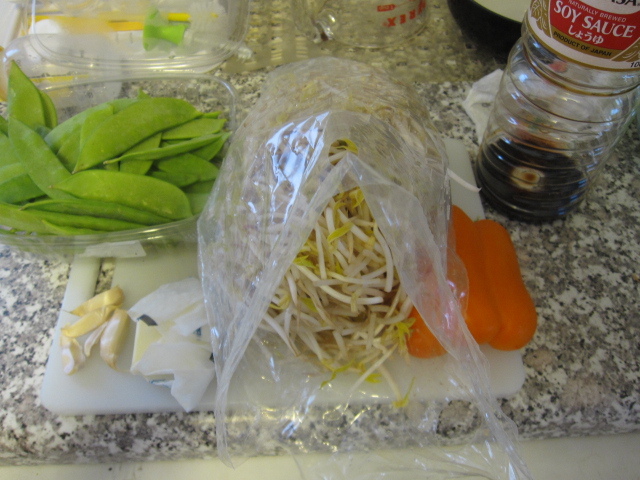 It contained bacon, red bell pepper, haricots vert, bean sprouts, and eryngii mushrooms. 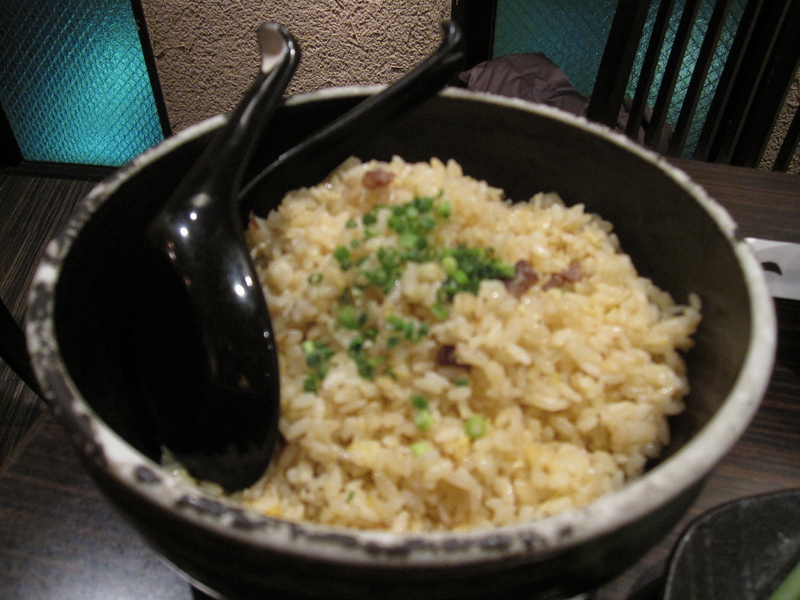 Of course, we also had white rice. To eat it I brought out our table-top propane burner and put a large skillet on top with a little bit of vegetable oil. Once heated up we just put pieces of the ribeye in to cook. Then, we took red leaf lettuce and wrapped everything up. 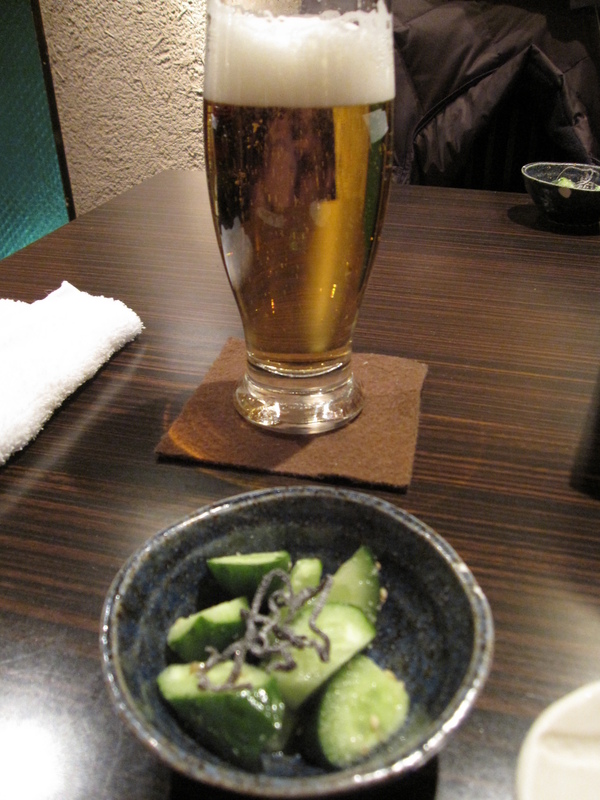 While Yuki and Tamiko had some beer with dinner, Uichiro and I enjoyed some sake. Not only is table-top cooking a lot of fun, but meals like this are extremely healthy and flavorful. 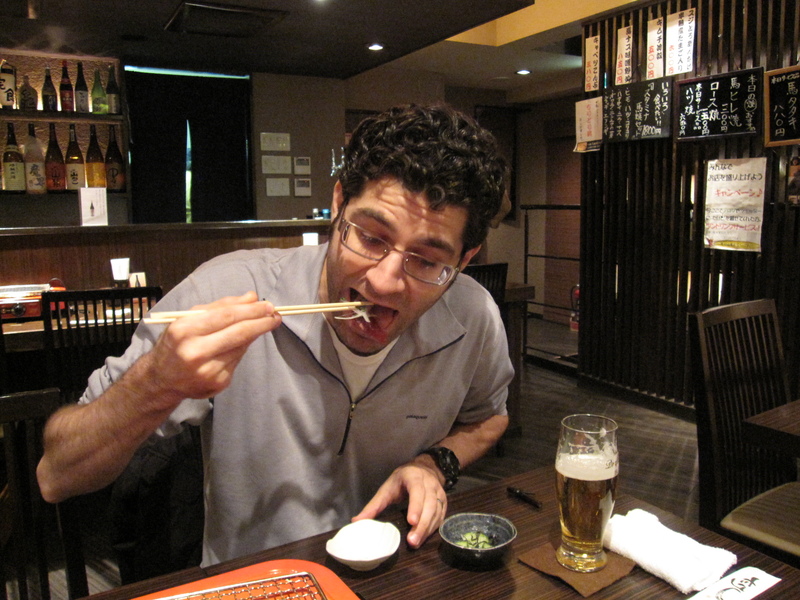 That nutrition is only enhanced by the mental healing properties of good cold sake! Uichiro, Yuki’s dad, makes a mean oyster gratin. Once a year one of Tamiko’s (Yuki’s mom) friends from her hometown of Miyagi in Japan (unfortunately not far from the recent earthquake, but fortunately everyone is alright, will be quite some time before the oyster population recovers though) sends her the famous oysters that she grew up on. A big container filled with the juiciest, most flavorful oysters you could imagine sinking your teeth into. Just so happens that I have timed a couple of my trips to Japan around oyster season. 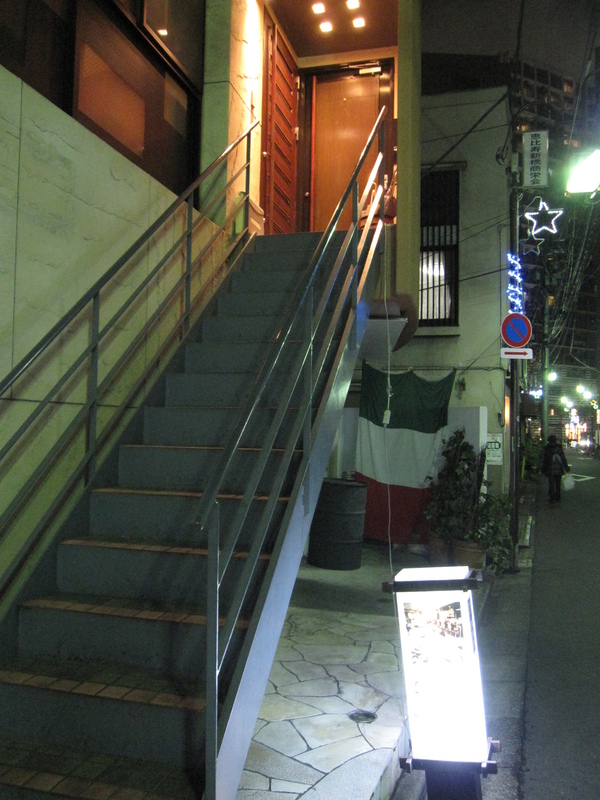 So, I’ve enjoyed Uichiro’s oyster gratin twice. On to last night. While trying to decide what to have for dinner I remembered the oysters that I got at Whole Foods a while back that were freshly packaged. Nice big and juicy with great flavor. I asked Uichiro if he’d make his oyster gratin. He was happy to oblige but didn’t want to make the bechamel sauce. No worries, I happen to make a tasty bechamel. At Whole Foods I noticed that they didn’t have the oysters I remembered in stock. All they had were oysters in the shell. It would’ve been a bit costly to buy the necessary amount to make gratin for 4. Improvisation is the key to cooking (life too), so we decided to get some of the beautiful shrimp behind the counter instead. 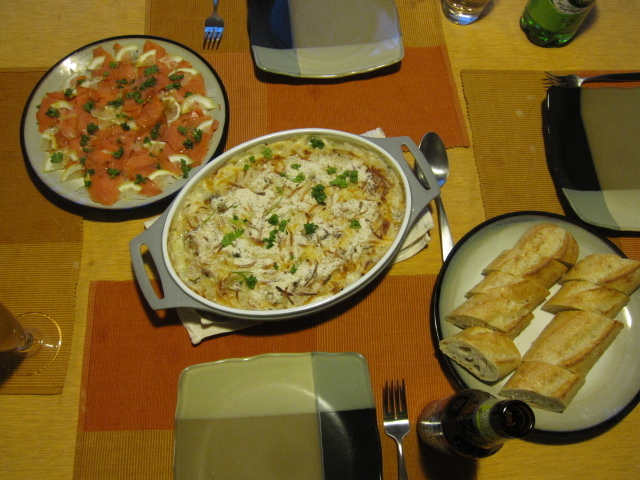 Along with some chicken thigh we had the necessary fixens to make a classic gratin. For the bechamel sauce I melted 5 tablespoons of butter over medium heat and then added 4 tablespoons of butter. 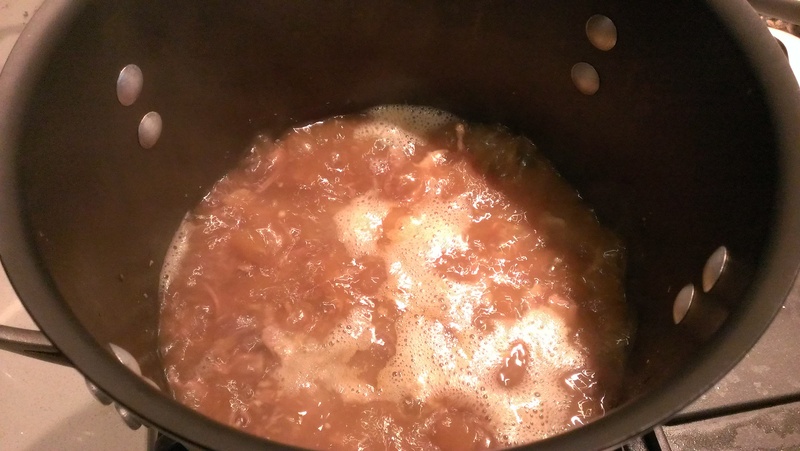 I whisked it constantly for about minutes until it became a dark golden color. Then I poured in 4 cups of hot milk and whisked that for 10 minutes giving it a nice thick consistency. Then I seasoned it with 2 teaspoons of salt and 1/2 teaspoon of nutmeg. I set that aside. 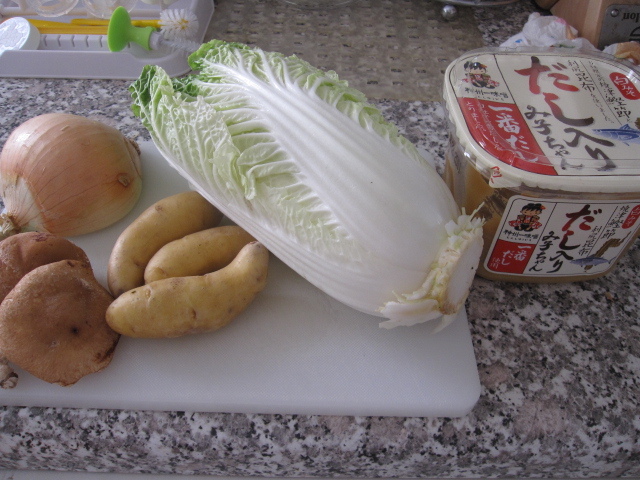 Once I was done with the range Uichiro went to town on the rest of the ingredients. In some butter he lightly sautéed together about 1/2 pound of shrimp that he shelled and halved, 3 chopped skinless chicken thighs, 1/2 half large onion diced, 6-8 (not exactly sure how many) button mushrooms quartered, and some al dente macaroni (again, not exactly sure how much, but I think about 1/2 a package). 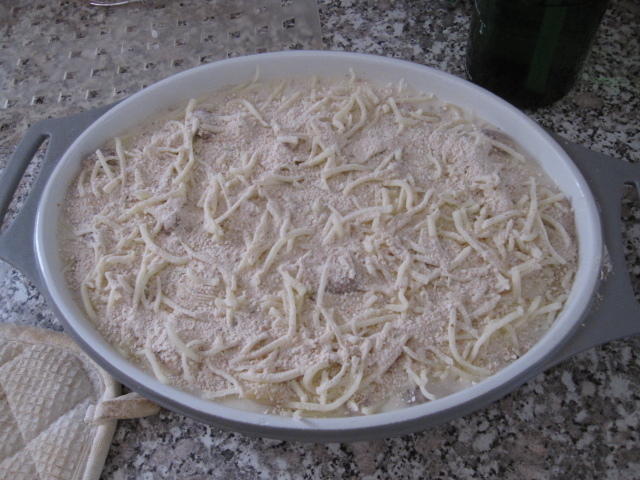 He seasoned it all with salt and pepper and then mixed it in the bechamel sauce. That all got poured into my ceramic baking dish. He topped it with some mozzarella and matzo meal. We didn’t have any panko, so again, we improvised. 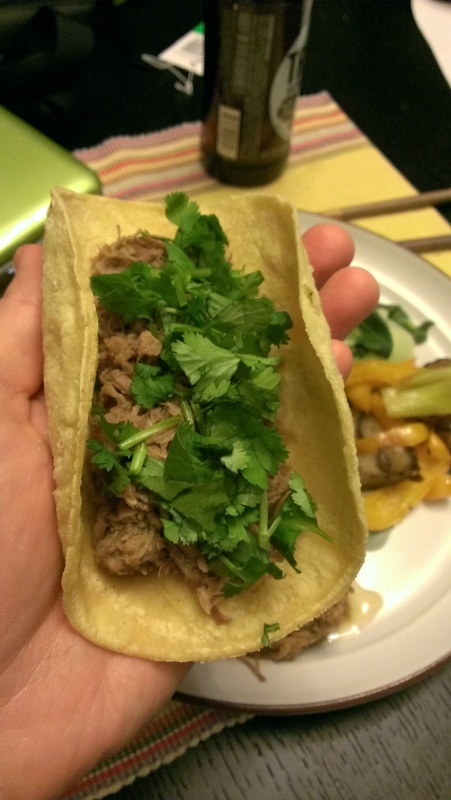 35 minutes in a 400 degree oven, some parsley garnish, and it was ready to go. Two things with this gratin. First, my bechamel, while extremely tasty, could’ve used another 3-5 minutes on the burner before letting it rest. A little bit thicker consistency would’ve been nice. Second, with oysters not used scallops would’ve been a little better than shrimp. Scallops are a lot more expensive though, so shrimp do a pretty good job, but scallops would be outstanding! 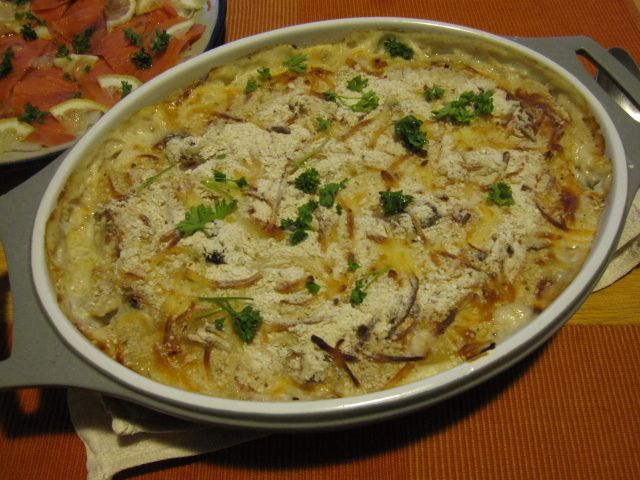 To balance out the heavy, creamy gratin Uichiro made this smoked salmon and onion dish. He thinly sliced a Vidalia onion and soaked it in cold water. He changed out the water 3 times squeezing the onions dry with each change. 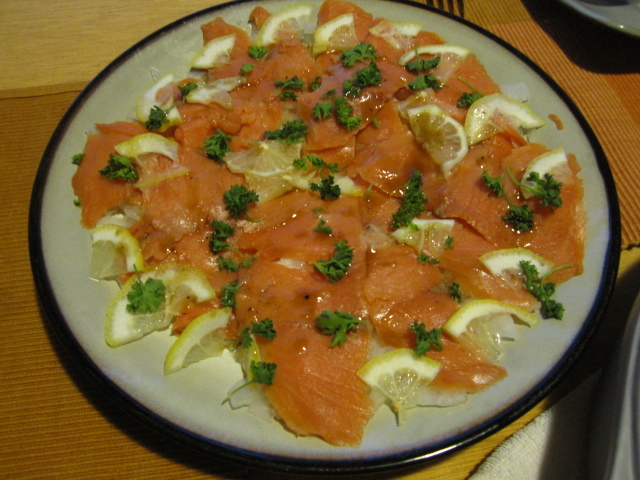 They were scattered all over a plate and then topped with thinly sliced smoked salmon. On to of the salmon went some thinly sliced lemon, including the rind with lends a nice bitterness to the overall flavor, not to mention a lot of nutrients the people usually waste by not eating the whole fruit. Then he scattered some chopped parsley all over the whole thing. I made a simple dressing to drizzle over the top. I whisked together 2 tablespoons of balsamic vinegar, 4 tablespoons of olive oil, a pinch of salt, and some black pepper until it emulsified. Some sliced baguette and a cold beer completed the dinner. But, I still crave his oyster gratin! 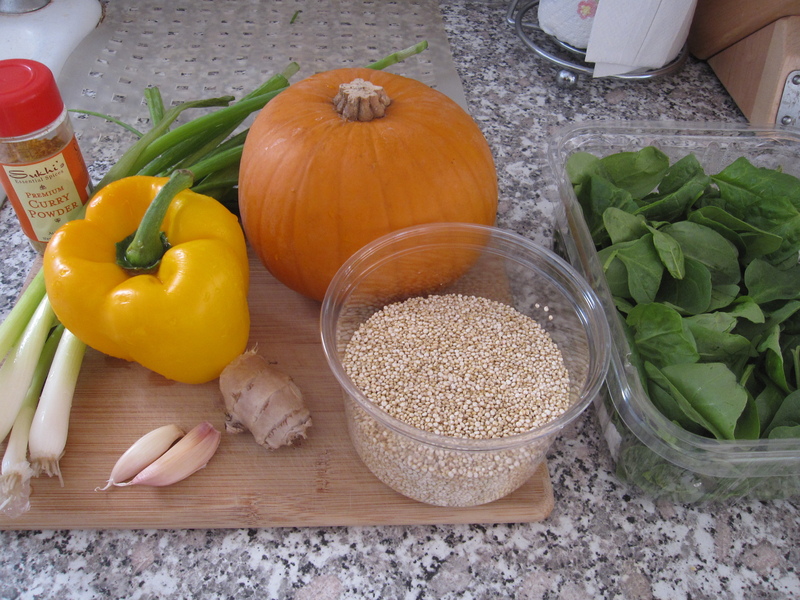 I try to make quinoa a regular in my diet, but don’t make it as often as I should. Being one of the world’s superfoods, as well as being relatively inexpensive, I think everyone should eat it at least a few times a month. I’m just waiting for the McQuinoa to show up on menus. Although, to get most Americans to eat it they’d probably have to use burger patties as the bun. 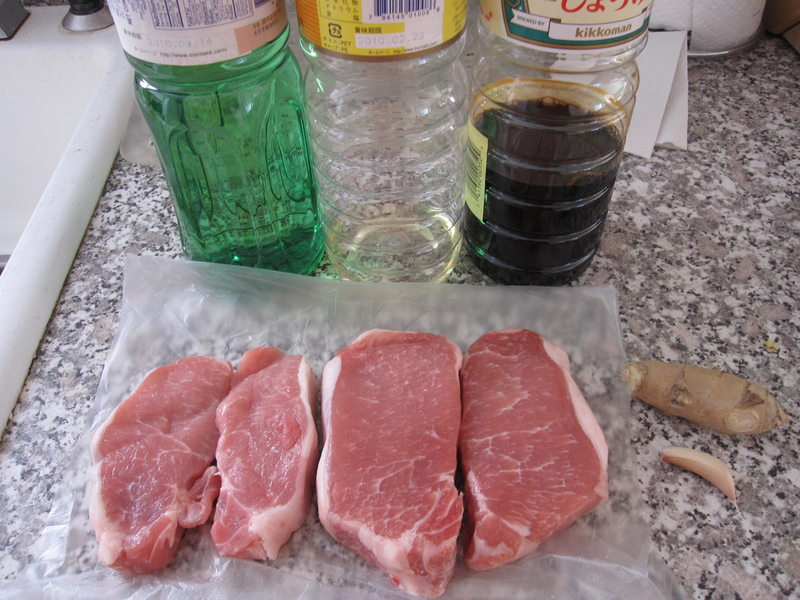 First thing I did was marinate the pork chops. 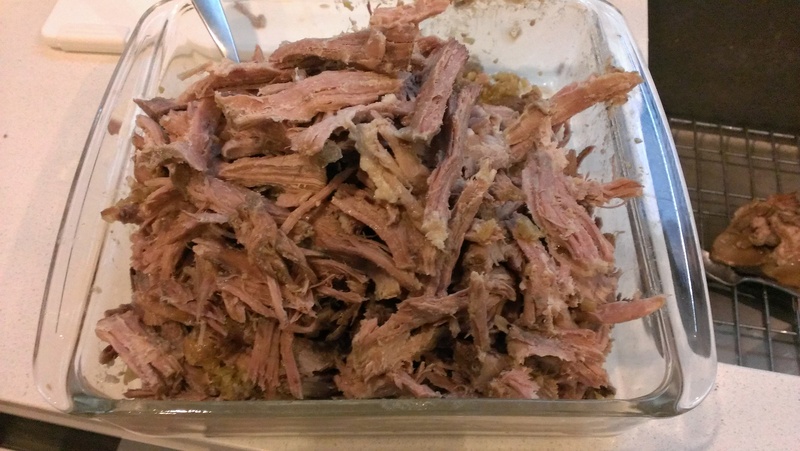 I mixed together 2 tablespoons of sake, 1 tablespoon of mirin, 3 tablespoons of soy sauce,1/2 inch ginger grated, a large garlic clove grated, and some cracked black pepper. 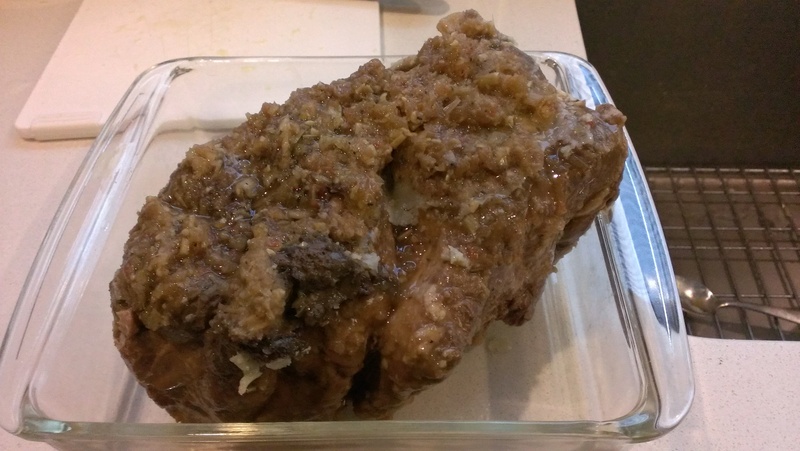 I turned the pork around in the marinade a few times to coat it entirely, then I covered it and set it in the fridge for about 2 hours. 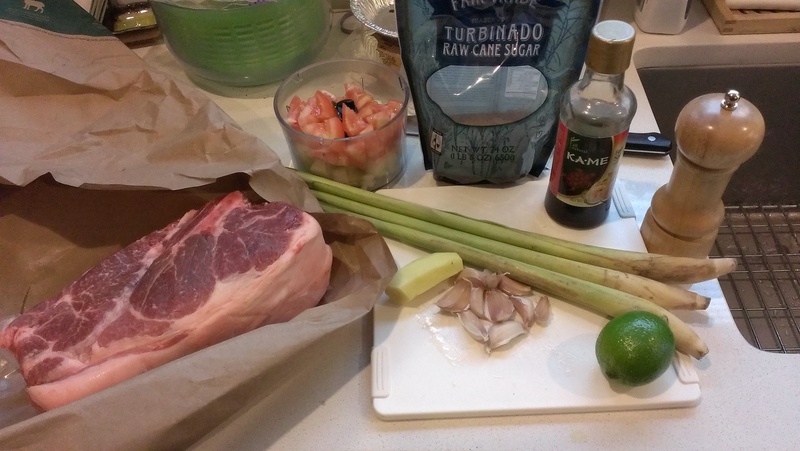 I turned it a couple of times while marinating. 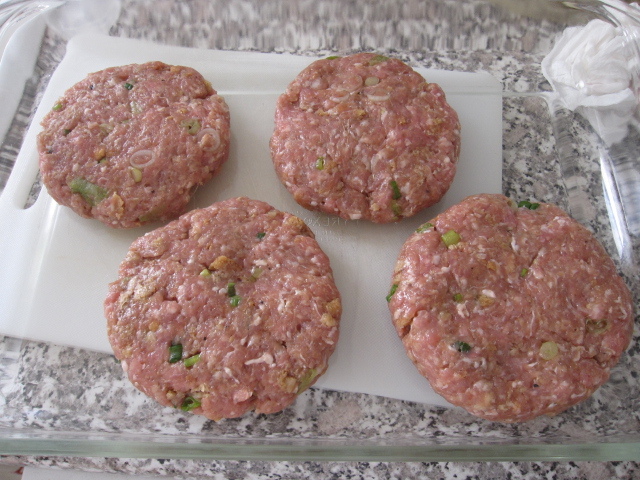 I also took it out about 30 minutes prior to grilling to bring it to room temperature, this ensures that it cooks more evenly. 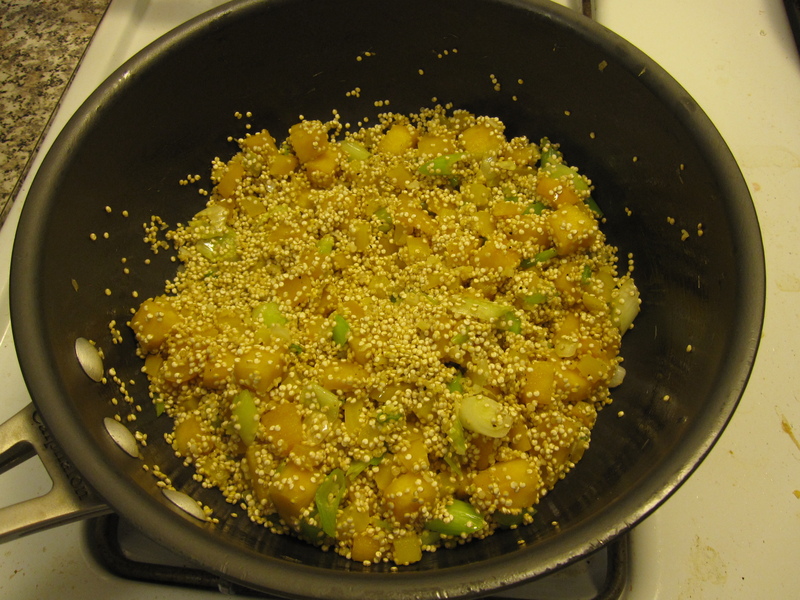 For the quinoa I used 1 tablespoon of curry powder, 6 green onions sliced, 1 yellow bell pepper sliced, 2 garlic cloves minced, 1/2 inch of ginger minced, 1/3 of a small pumpkin (I just eye-balled how much I wanted to use, I have no idea how much it actually was), 1 cup of quinoa, and a couple large handfuls of baby spinach. In a small sauce pan I brought 2 cups of water to a boil. 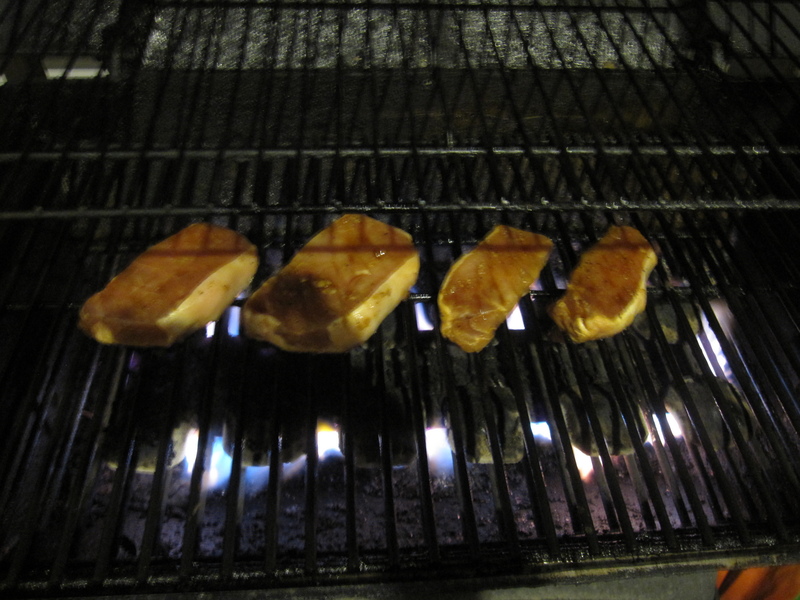 While the water was getting hot, I heated up my medium pan and poured in about 2 tablespoons of sesame oil. I threw in the pumpkin, bell pepper, and green onions. 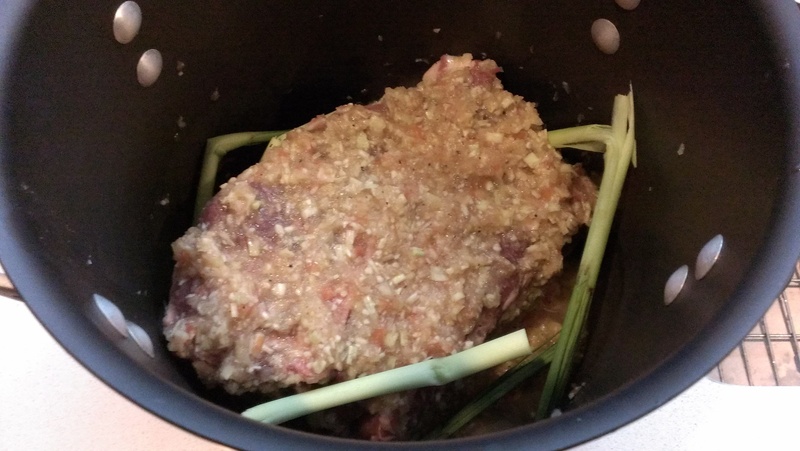 I let them saute for about 5 minutes and then added the garlic and ginger. 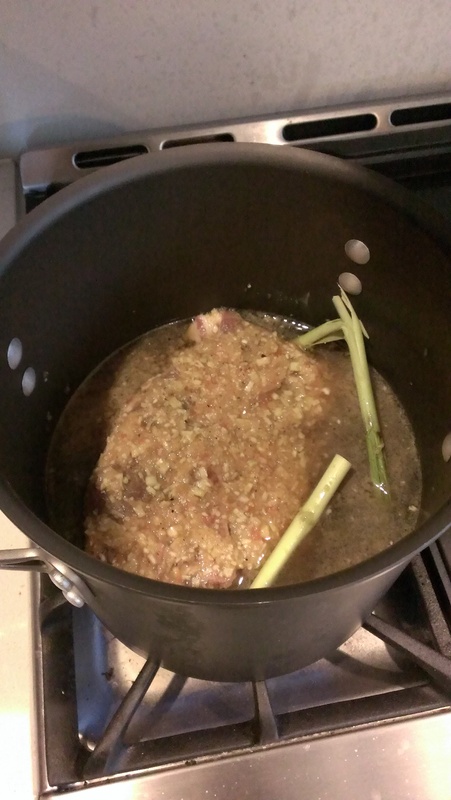 While the garlic and ginger started to heat up, about a minute, I thoroughly rinsed the quinoa and then added it to the pan along with the curry powder, a touch of salt, and some black pepper. 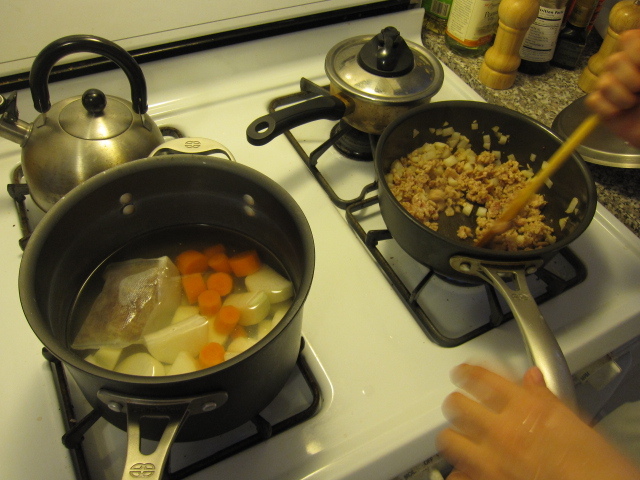 I stirred it around for about 3-4 minutes so that the quinoa would start to give off a slight nutty aroma. After that I poured in the boiling water, covered the pan, and let it simmer over medium-low heat for about 15 minutes. Once that 15 minutes was up I turned off the heat and let it rest for another 10 minutes. 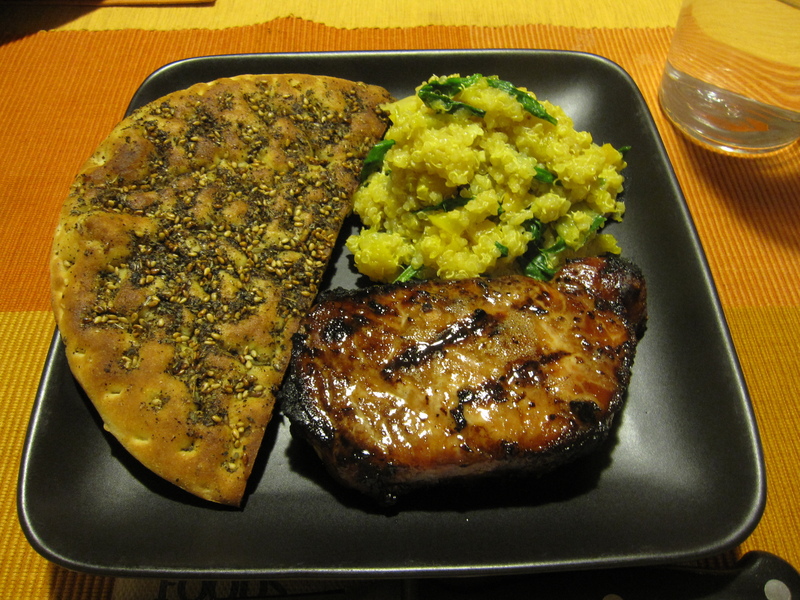 While the quinoa was simmering I got the grill hot and grilled up the pork chops. It took about 5-6 minutes per side. Just before serving I toasted my last piece of manakeesh from the Tannourine Bakery. I also fluffed up the quinoa with a fork and then mixed in the baby spinach. 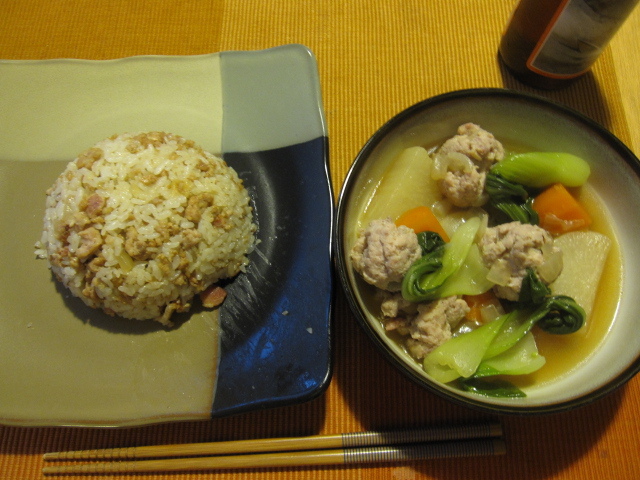 If I were to make this recipe again I would do two things different. Instead of using 1 tablespoon curry powder I would use 1.5-2 tablespoons, or maybe a touch of cinnamon. I would also squeeze a lemon or lime into the quinoa as I stir in the spinach. The quinoa was good, just much more lightly flavored than I would have liked.